A ramada, gazebo, pergola, or any overhead shelter provides function and entertainment values. Refuge from the AZ sun or desert winds is necessary. 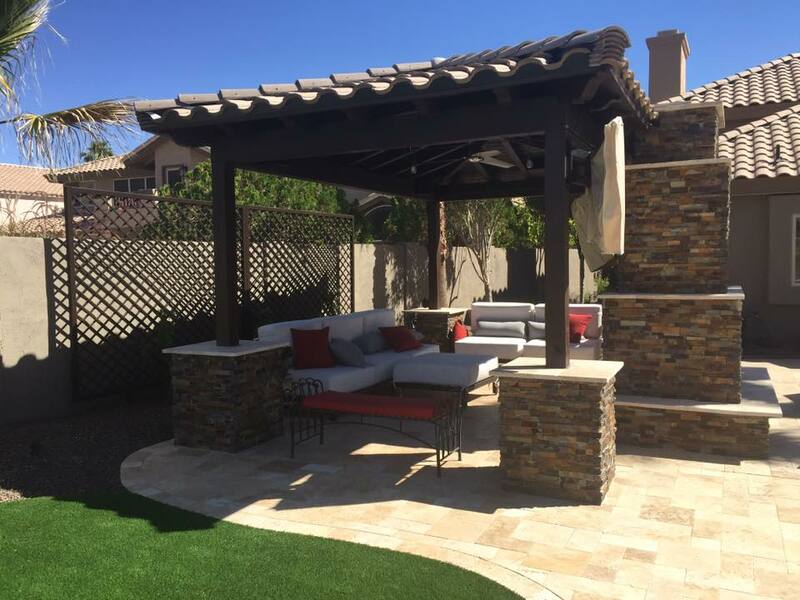 These functional shelters are often used to protect BBQs, patio furniture, fire pits, hot tubs or children play structures. 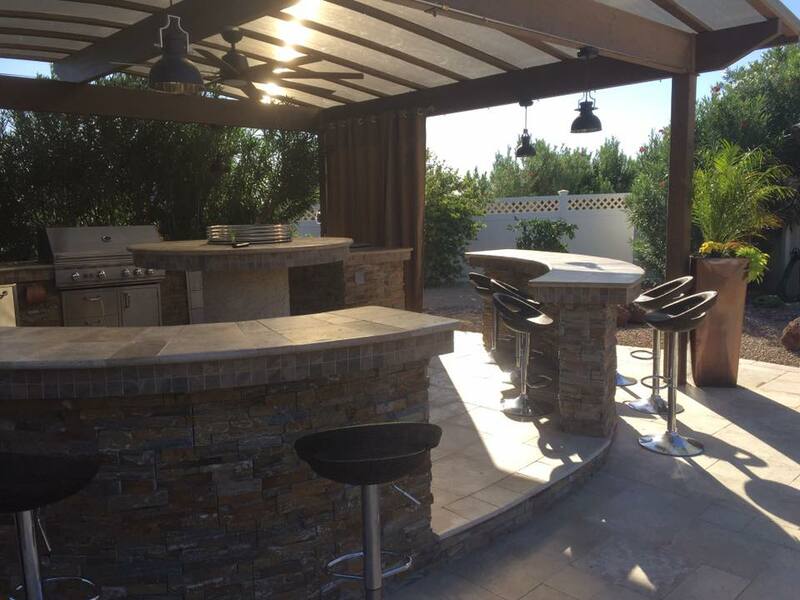 Additional features include, lighting, fire pit, fire place, BBQ, stone work, pavers/travertine. This structure was created that needed to address numerous needs. It serves to protect a seating/entertainment area and needed to incorporate a fire place. Rock, tile, fans, and lighting was also incorporated into the design. Entertainment and fun were the top priorities on this project. A large siting area was created and protected by a custom ramada with ceiling fans and lighting added. This is a highly desired design and immediately enhances and property. All our designs and work are created with the homeowners best interests in-mind. This pergola was created as an extension of the overhead patio. The design fit the yard perfectly and exceeded the homeowners expectations.